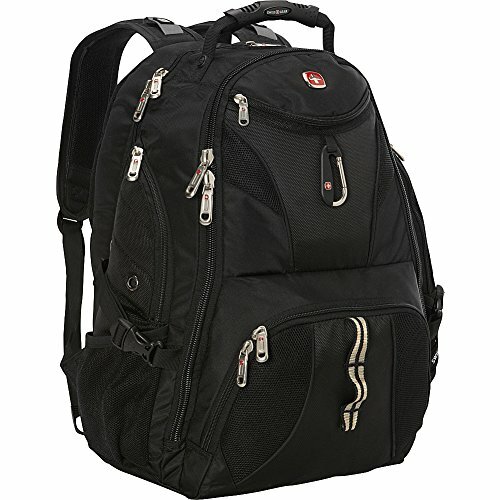 1 What’s the best carry-on backpack these days? 3 How long is the journey going to be? 4 What you want to put in it? 5 Where do you buy a good carry-on backpack? What’s the best carry-on backpack these days? How to choose a good carry on backpack is the question many travelers ask at some point in time. If you’re just starting out or are an experienced traveler, you may still find yourself on the lookout for a new and (more) suitable backpack. Follow me through this post and I’ll show you how to spot the best carry-on backpack for your needs. A few days ago a good friend of mine asked me if I had a recommendation for him in buying a backpack. I sat down and wrote a fairly long email on the issue, which I decided to convert into a post, to be on hand for other people who have the same question. As a person who travels much, my backpack is the item of my gear that makes it or breaks it. It can make life bliss or hell. Being the kind of traveler who combines the city with the outdoors, the use of a backpack became second nature to me. I see people carry all sorts of bags all the time, duffel bags, messenger bags, purses, roller bags. I kid you not, I saw them (mostly young damsels) come at the meeting spot for a mountain trail trip with… roller bags. And then I saw the guys in the group carry those bags for miles. I however like having my hands free and available at all times. In the outdoors or in the city? For city use, you can do with a regular backpack because you won’t put it to a lot of stress. Fashion stores and supermarkets have a variety of models that will probably satisfy. If instead you want to use it in the outdoors, you can’t afford for it to break or rip on you, or be uncomfortable; you want it to be waterproof, to have a sleeping bag compartment or a way to attach one, and you will have many items to carry all day long, which makes you want a comfortable backpack with good ergonomics. Cordura material will be ideal, and not any common variety of polyester that does not withstand harsher treatments. These days most airlines require the hand bag to be no larger than 22″x14″x9″ (that’s 56cm x 36cm x 23cm respectively), and no heavier than 22lb or 10kg. While the weight is totally dependent on what you stuff in your bag, the size is something your backpack comes equipped with from the manufacturer. A good ol’ backpack scores in the size respect any day of the week against, say, a roller bag. Not to mention, if it tends to be a bit larger than required, you can always squish it in; not so much a roller bag. And, it scores in the weight quarter too, since a backpack starts off much lighter than a roller bag right out of the box. That’s already three points down for the backpack. How long is the journey going to be? For me a backpack of 30 liters (some 1900 cubic inches) is enough for a few days, but if you’re planning a longer tour, a backpack of 60-80 liters (3600-4900 cu. in.) is a better fit. What you want to put in it? If you use a laptop, you’ll get a carry-on backpack that protects the laptop and holds it steady. I recommend one with straps for both shoulders, since it’s much healthier to split the weight between the two shoulders, and much more comfortable. If you’re going to carry other items, say, in the mountains, you want a compartment or pouch for a sleeping bag, a pocket for a hydration system, and outside pockets, webbing for attaching a sleeping mat and your trekking poles. And, perhaps most importantly, you want the stitches and seams to be much stronger. If I’m looking to purchase a backpack, I like to explore all the options at hand plus the online ones, and get the opinion of actual owners. I like to do my due diligence as best as I can, because I consider my backpack to be a very significant investment. I’m talking here mostly about the outdoors backpacks, since the city one must meet far fewer conditions. But I’m rather the kind of guy who likes to have a dependable backpack wherever I go. 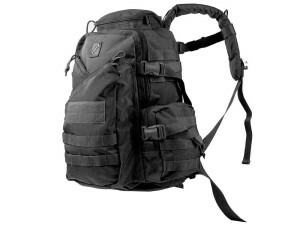 A larger backpack should have a way to adjust the shoulder straps up or down. Where do you buy a good carry-on backpack? Specialized outdoor gear stores should be the place to go to first. You can put the backpacks on there, and see how they ride on your back. But if you don’t have access to a store, or want to explore more options, then have a look online. A good online store will have a place for people who purchased to leave their review, and I find these very informative. People actually take the time to leave good non-sensical and in-depth reviews. You’ll be amazed at the wealth of information and detail they give away. Definitely a good resource. With the above guidelines in mind, I am going to kill two birds with one stone and review+recommend a few backpacks that are good for traveling both to the outdoors, as well as in the city. Hopefully you’ll pick you next best carry on backpack from among them.